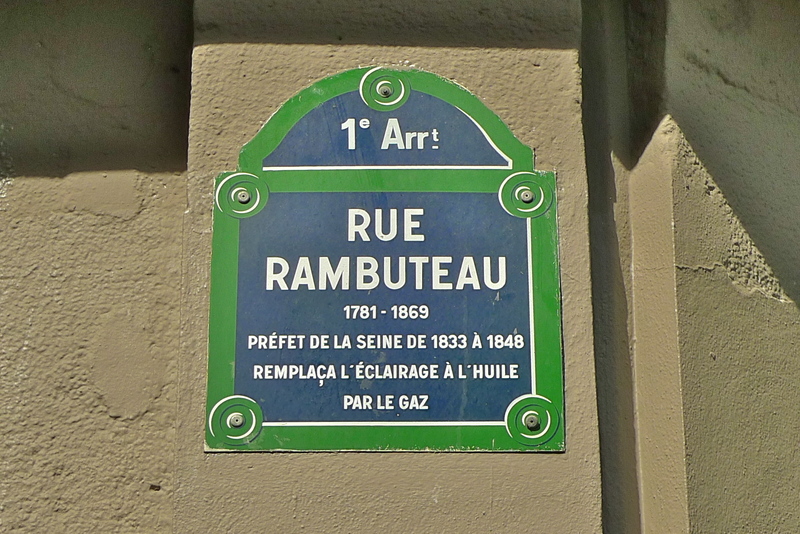 THE RUE RAMBUTEAU was named after Claude-Philibert-Barthelot, Comte de Rambuteau, Préfet of the former Départment of the Seine from 1833 to 1848. It’s worth reading up on Rambuteau because, as Préfet, he did a lot to improve the public health and sanitary conditions of Paris in the early nineteenth-century. He modernised the sewers, introduced gas lighting and began a street-widening programme to improve the existing disease-prone narrow and congested streets. He also introduced the public urinal to the streets commonly known as vespasiennes. It’s a well-kept secret but they were not called vespasiennes when they were first introduced – they were called rambuteaux! 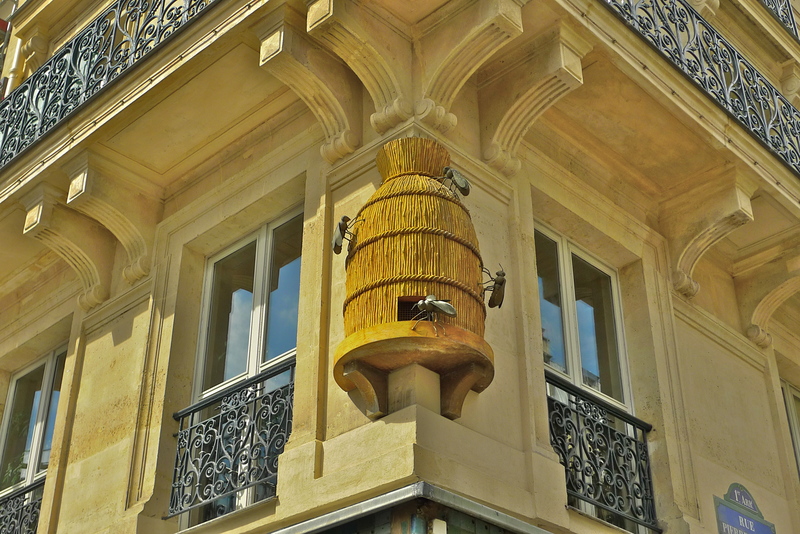 There are no rambuteaux, nor vespasiennes in today’s Rue Rambuteau, but it’s not entirely devoid of curiosities. 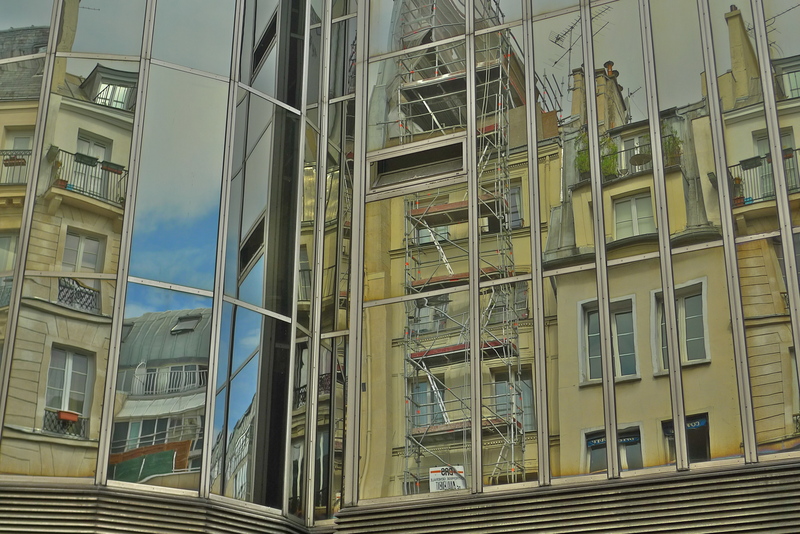 I found this one on the corner of Rue Rambuteau and Rue Pierre-Lescot, which just goes to show that when exploring the streets of Paris it’s best to look up as well as from side to side. Of course, the Rue Rambuteau has its sounds too. The ordinary sounds of an ordinary Parisian street recorded on an August Saturday afternoon, so nothing special then. Actually, these sounds are special; special because they are unique. They capture a slice of time, a moment that can never be repeated. Had I recorded on the same spot an hour earlier or an hour later I would have probably captured similar sounds but not the same sounds. The actors would have been different, the snatches of conversation different, the footsteps different, the rustle of bags different, the passing bicycles different and maybe even the Vespa would have been different or not there at all. Making recordings like this fascinates me precisely because these recordings are unique. Standing, or preferably these days, sitting perfectly still in one place listening as the world passes by is endlessly intriguing. There are no sounds that dominate, just people passing by each with a story to tell but only sharing the briefest snatches of that story as they pass. The questions are endless and the answers elusive, which is just as it should be.